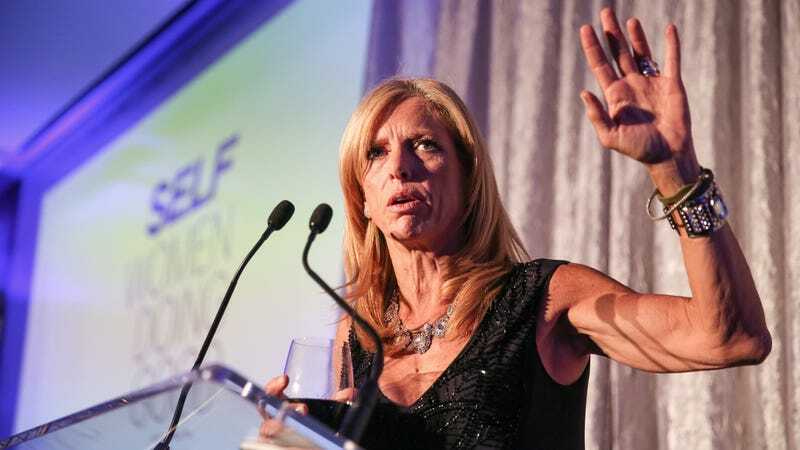 In news that's very interestingly timed, Condé Nast said Thursday that Self magazine editor Lucy Danziger had been let go from the publication, as had vice president/publisher Laura McEwen. Danziger is being replaced with Cosmopolitan executive editor Joyce Chang and McEwen is being replaced by Mary Murcko from the Gannett Company. There's a number of factors at play in this changing of the guard. One is Anna Wintour's growing role at Condé Nast: a year ago, Wintour was given the title of creative director of Condé Nast in addition to her position as Editor in Chief of Vogue. The new job has meant that Wintour has oversight of publications that are not only not hers but are in many ways in direct competition to Vogue. Since taking on her new role, Wintour has notably helped bring on Eva Chen as the new editor of Lucky. Like Chen was for Lucky, Chang is likely seen by Wintour and the rest of Condé Nast as someone more tapped into the youth market. She definitely has a more active presence on social media than her predecessor and is seemingly priming herself for this new job; the last thing she Instagrammed was about fitness. Wintour and Condé Nast's concern has been Self's long-suffering ad and single-copy sales, which have been on a steady decline for the past few years, according to numbers reported by both Women's Wear Daily and the New York Post. But the very public, very recent snafu where the publication made fun of two female runners who ended up being cancer survivors made this ideal timing for Danziger to exit her post. While she took full responsibility for that call and these changes to the masthead have likely been months in the works, it seems like the tutu photo was last straw for Condé Nast – and/or the perfect opportunity to get rid of Danziger. After all, the publication of the photo and its caption – which was considered mean-spirited by many who didn't think it mattered much whether the women in it had cancer or not – occurred in a section that was less than a year old. That feature, "BS Meter," had been introduced during the magazine's redesign last year. At the time, vice president and publisher McEwen told Mashable that they hoped the change would "broaden the demographic" the magazine attracts, aka grab younger women who like fashion and beauty content, not just fitness coverage. "We've given it a bolder, more irreverent voice, written in the way women talk to each other nowadays," McEwen said – which ended up being code for "catty in a not funny way" if the direction "BS Meter" went in was any indication of what she meant by that. "I am so pleased to welcome Joyce back to Condé Nast," Anna Wintour, Condé Nast's artistic director and editor-in-chief of Vogue added. "Her diverse resume of experiences has taught her the power of a strong and intelligent woman. I'm excited to see the new direction she will bring to Self." Update: On Friday, new publisher Mary Murcko, who previously held a position at Rodale overseeing magazines like Women's Health, called her job returning to Self (where she started out) "an unprecedented opportunity to cultivate one of Condé Nast's most dynamic brands." Chang is very excited about her new position; she's been tweeting up a storm about her move, which has been blessed by her boss and current reinventor of the women's magazine, Cosmo editor Joanna Coles. "Busy women need curated ideas, information and inspiration to lead rich, balanced lives. I look forward to taking the helm at Self and expanding its mission of championing women to be their personal best," Chang said in the release. Danziger has been polite about the whole thing, which makes sense, given that it's impossible it's a shock to her. "I am looking forward to my next adventure," she told the Post (which also reported that Wintour had been "scrutinizing" Self's art director). "I said to my team, change is good, everything will be fine. I wish Self and the new leadership all the best." In 2010, Danziger published the book The Nine Rooms of Happiness following her repeated assertion that women actually want the photos they see in magazines to be photoshopped. As of the publication of this post, the last thing Danziger – who has been at Self for 13 years – had tweeted was a link to her Q&A with cancer survivor and tutu-wearing runner Monika Allen last week. Self Editor On Positivity, Photoshopping, And "Feeling Fat"